Our expertise extensively represents the fields of Health Economics, Medicine and Natural Sciences. Our experience has been gathered in different positions in the pharmaceutical industry, healthcare, research and academic institutions. Our wide-ranging experience and diversified expertise constitute our absolute strengths in serving our customers in the pharmaceutical and health technology fields and in the healthcare system. Learn more about our experts by reading their profiles below and do not hesitate to contact us! Jarmo joined Medaffcon as a Partner and Managing Director in 2010, after previously working in different positions in the pharmaceutical industry for eight years. 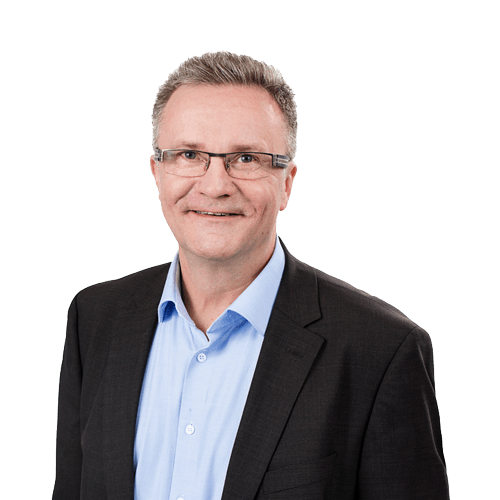 Jarmo holds a comprehensive understanding of the pharmaceutical field: he has worked in several expert and leading positions, e.g. as a Health Economic Expert, Head of a Pricing and Reimbursement Unit and as a Director of Health Economics and Market Access teams. 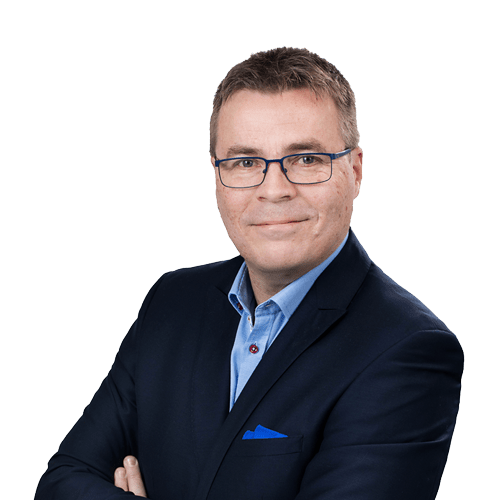 Before moving to the pharmaceutical industry, Jarmo had a permanent position in Turku School of Economics and he worked as a researcher at Turku University Hospital. Due to his background, Jarmo has a strong knowledge of how new health technological innovations can meet the requirements and expectations of authorities, markets and customers. Medaffcon also benefits from his comprehensive experience in Health Economics and its applications from the perspective of research and commercialisation. In addition, he has wide-ranging understanding of the constantly changing operational environment. Jarmo deems Market Access as multidisciplinary and crucial to business, which makes it an extremely interesting field of operation. Jaana began her career in the pharmaceutical industry as a Medical Advisor in different therapeutic areas, after which she became a Medical Affairs Manager. Jaana’s areas of responsibility have included, inter alia, sales permission, pharmacovigilance and marketing support functions. 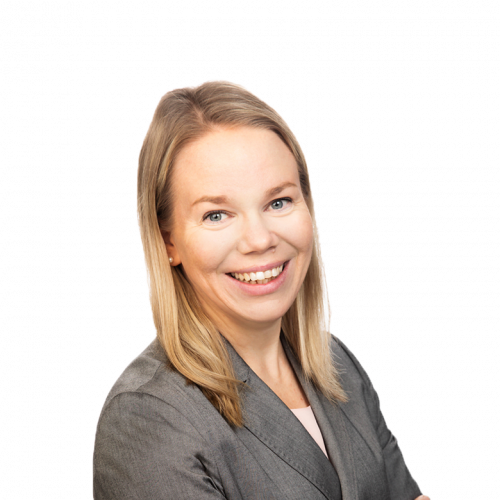 In 2006, Jaana became a Medical Director, assuming responsibility for all medical functions in the Finnish affiliate of the company she represented. After this, Jaana has worked in different Medical Advisor/Director positions in different companies. Jaana established Medaffcon in 2009 after working in the pharmaceutical industry for almost ten years. Jaana’s most essential input in Medaffcon’s team is her wide-ranging experience and knowledge in different fields of the pharmaceutical industry, as well as the ability to think innovatively. Jaana’s key areas of interests include creating and maintaining cooperation between different activities and actors in the pharmaceutical industry. 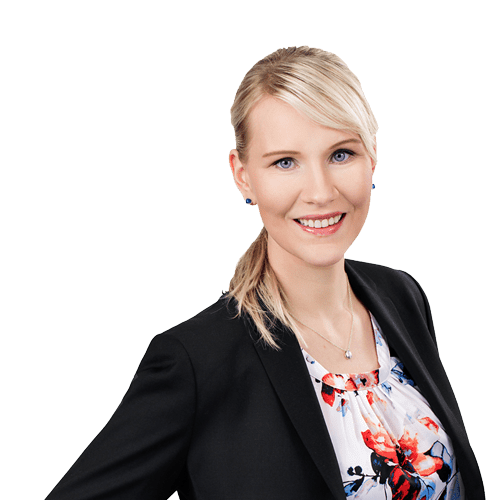 Jaana is also a member of the Board of the Finnish Association of Pharmaceutical Physicians. Tatu’s doctoral dissertation, defended in 1999, focused on gallstone disease and cholesterol metabolism. After that, he has worked in the pharmaceutical industry in different therapeutic areas, mainly as a Scientific or Medical Advisor, aiming to produce medical added value of high quality, benefiting all interest groups. Tatu has worked in the pharmaceutical industry or its interface for almost 20 years, in expert positions related to clinical research, drug development and Medical Affairs. He has experience in both national and international clinical trials, working as a Medical Researcher as well as in designing studies and in drafting protocols. Tatu joined Medaffcon as a Partner in 2010. Tatu’s background enables effective analyses and solution processes of challenges in the field. Tatu is particularly interested in the development of drug preforms from the early-stage studies towards the markets. His interest for the bases at the molecular level and signal transmission routes is stunning. Tatu enjoys teaching and can explain even complex issues in a simple and understandable manner. Kalle Snicker joined Medaffcon’s team in September 2017. 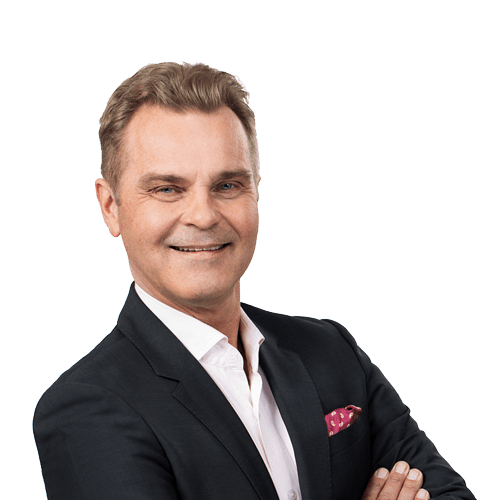 Kalle has worked a total of 26 years in the pharmaceutical industry; 16 years in cardiovascular and 10 years in oncology therapeutic areas. Along the years, he has gained experience in leading positions in sales and marketing, in running the Baltic business unit, and in recent years, in leading the oncology market access functions at Novartis. Kalle’s principle has always been to work for the benefit of the patient, regardless of the position he is working in. Kalle’s strengths include his extensive and comprehensive view on how the industry functions as well as his ability to predict how future challenges can be considered and how the best possible result for the patient can be achieved in a new operational environment. Kalle is true a solver of difficult situations. Outi Isomeri joined Medaffcon’s Medical Affairs team in December 2017. Outi holds plenty of experience from outpatient pharmaceutical service, particularly customer service and review of customer needs, after working as a pharmacist since 2009. Outi holds a Master of Science degree in Technology, and she completed her Master’s thesis and advanced studies at the HEMA (Healthcare Engineering, Management and Architecture) institute at Aalto University, where she studied, inter alia, the management and arrangements in special healthcare. In addition to industrial engineering, her degree included health economics and analytics. Outi has worked as an analyst in different projects at NHG. In the field, Outi is interested, in particular, in the future possibilities in individualised pharmaceutical treatment, the use of existing knowledge for the benefit of all and the possibilities to provide her own contribution for the benefit of a more functional pharmaceutical service in Finland. ”I strongly believe that there is a lot to improve in the operational models of our field, and I want to be part of analysing and planning those.” Furthermore, Outi holds an interest in market analyses and the assessment and monitoring of the overall costs of diseases. Outi’s strengths include her diversity both as an employee and in terms of educational background. Outi is analytical, hard-working and customer-oriented professional in the pharmaceutical industry. 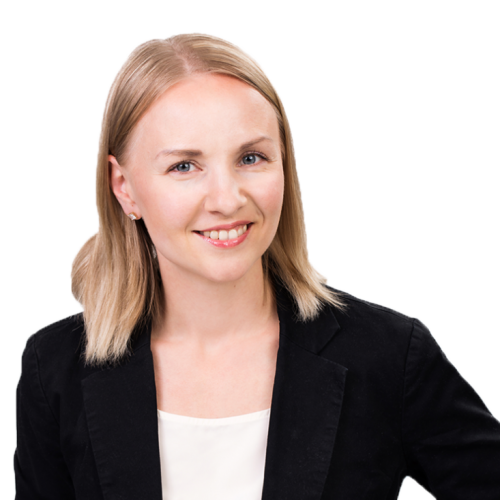 Päivikki joined Medaffcon’s Medical Affairs team in September 2017. She has a PhD in cancer biology and worked for almost ten years as a researcher in the field. 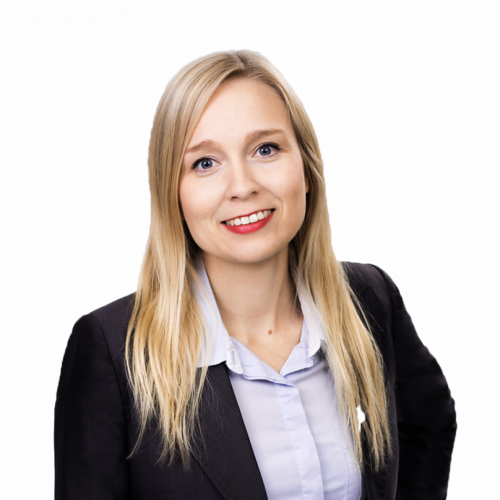 Since 2006, Päivikki has worked in different specialist positions with sales, quality, registration and research in Medical Device, pharmaceutical and CRO companies. 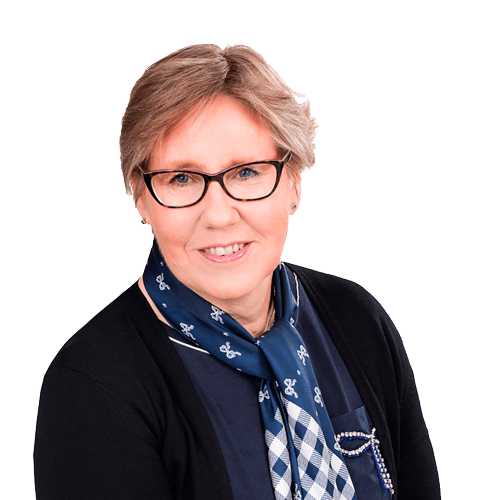 Before joining Medaffcon Päivikki worked in Finnish Clinical Biobank Tampere, where she was responsible for the construction and development of the biobank’s quality system and operative processes. Päivikki is intrigued by the constant development of the healthcare industry. In addition, she is interested in the possibilities and concrete benefits for developing a more effective and individualised treatment through cooperation between different actors, such as biobanks and research institutions. 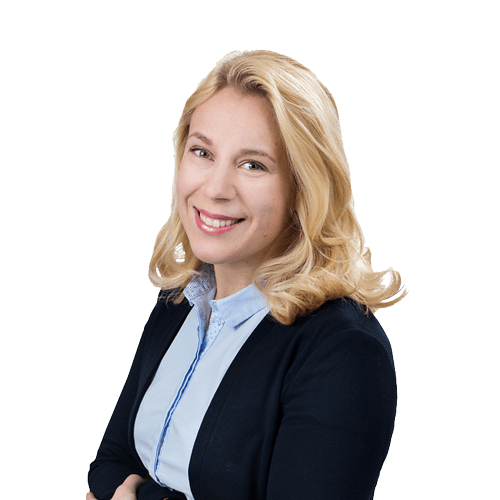 At Medaffcon, Päivikki’s strengths include her solid scientific expertise as well as her wide-ranging experience in the project leader role in both academic and company-led research and product development projects. Päivikki works with a positive mind in a customer-oriented manner and makes for a reliable team player. 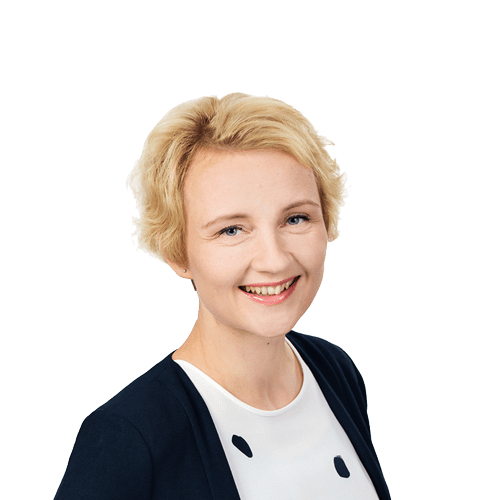 Maija joined Medaffcon’s team in January 2017. Maija holds a title of docent in molecular medicine and has vast research experience, especially on cancer genomics and translational research towards individualized treatment possibilities. In addition, Maija has excellent pedagogic skills and comprehensive project leader capabilities obtained from several collaborative efforts with academia and pharmaceutical industry. At Medaffcon, Maija oversees part of the biobank and register-based studies that utilize real-world data to improve patient health care. In addition to her role as a senior scientific advisor, Maija is acting as a development manager. Maija’s strengths include solid scientific experience and wide connections to the different stakeholders of the research and health care community. She is particularly enthusiastic about the potential of widening RWE data sources and efforts that promote individualized health care. Maija obtained her PhD in 2000, after which she continued her studies as a postdoctoral researcher at the National Institutes of Health (NIH, Maryland, USA) (2001-2002). Thereafter she has worked as a scientist and senior scientist at the VTT Medical Biotechnology and University of Turku (2002-2010), and as a senior researcher at the Institute for Molecular Medicine Finland, FIMM, University of Helsinki (2008-2017). Milla joined Medaffcon’s team in February 2019. Milla obtained her PhD in cell biology from Utrecht University in the Netherlands in 2012. The aim of her PhD research was to develop single-domain VHH antibodies that activate or inhibit protein kinase C epsilon in cells. She did part of the research at the Faculty of Pharmacy at the University of Helsinki. From 2014 until 2019 she worked as a postdoctoral researcher at the Laboratory of Neurobiology at the University of Helsinki, Faculty of Biological and Environmental Sciences. Milla is especially interested in working with clinically relevant scientific data, in the possibilities of precision medicine, and in collaborating with the different stakeholders of the health care sector. Milla’s strengths include a solid scientific background, excellent organizational skills, and a diverse and international educational background. Ritva joined Medaffcon’s Market Access team in March 2018. Before this, she worked almost six years at Farenta in corresponding tasks, providing pharmaceutical companies with strategic consultation and expert assistance related to Market Access functions. In addition, Ritva holds more than 20 years of experience in the pharmaceutical industry, where she has worked as a Market Access Manager at Sanofi (12 years), as a Regulatory Affairs Manager at Bayer and as a Researcher in Pharmaceutical Product Development at Orion. Ritva holds extensive and diverse experience and expertise in pricing and reimbursement issues of primary care medicine and hospital medicine in several different therapeutic areas. Over the years, Ritva has also trained and guided many colleagues in Market Access tasks. In project work, Ritva deems it important to be customer-oriented, and satisfied customers have always been the best reward for a job well done. Ritva is active, analytic and a creative seeker for solutions with good team working abilities. Heini joined Medaffcon’s Market Access team in May 2018. 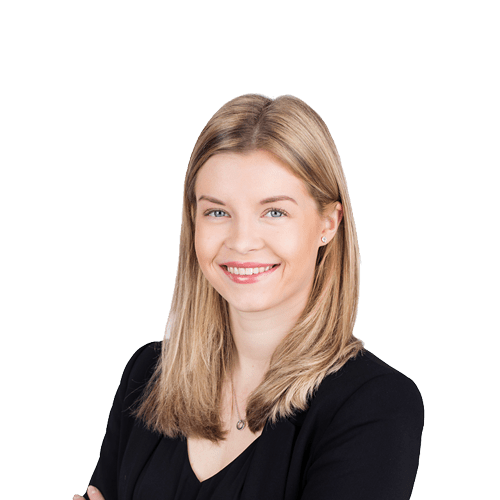 Heini is finishing her studies in Health Economics at the University of Eastern Finland, and her master’s thesis discusses risk-sharing agreements in the pharmaceutical market. Heini’s interest in the connections between health and economy was aroused already during her former health-related University studies and patient work. Heini is interested in the changes occurring in the pharmaceutical and healthcare industries as well as in the possibilities of Health Economics in assessing the methods and economic resources in the field. Heini’s assets include her state-of-the-art theoretical knowledge in the field of Health Economics, combined with pratice-oriented thinking. Werneri Tuompo joined Medaffcon’s Medical team as a Trainee in November 2017. Werneri studies Biomedicine at the University of Eastern Finland in Kuopio. At Medaffcon, Werneri is involved in the project reviewing the individualised treatment of cancer, whereby his work relates to outlining Finnish biobanks. In the field, he is interested in the constantly changing circumstances, multiprofessional working environment and the possibilities brought by digitalisation in improving health. Iiro joined Medaffcon in March 2017 as a Biostatistician. For the past four years he’s worked as a research assistant, analysing clinical and genetic patient data as part of a study on the factors impacting the appearance and progression of complications in type 1 diabetes (in FinnDiane research group). Iiro holds a Master of Science degree in Technology. In the field, Iiro is particularly interested in the large data amounts revealed with the revolution of technology and in how the information received from the data can potentially be utilised to draw concrete conclusions, both in order to understand the nature of diseases and to advance the goals of the pharmaceutical industry and patient treatment. 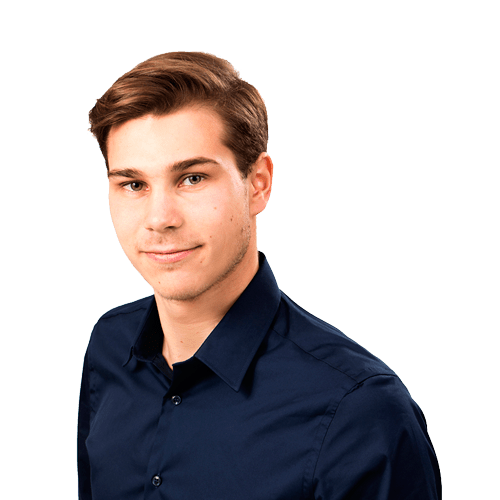 Iiro’s strengths include his strong statistical expertise and the ability to understand the challenges and possibilities involved in “Big Data”. Samuli joined Medaffcon in November 2018. 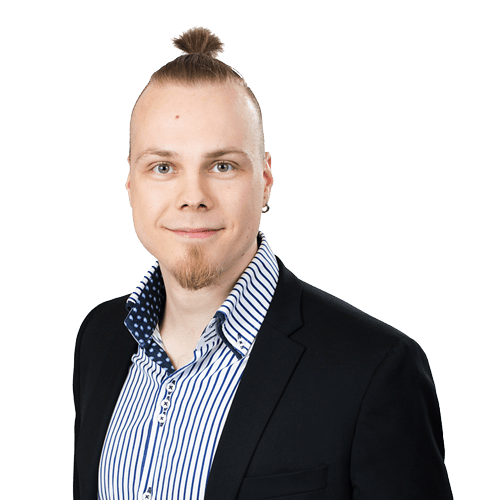 Samuli acquired a Master’s in Statistics at the University of Helsinki specializing in bioinformatics in September 2018. 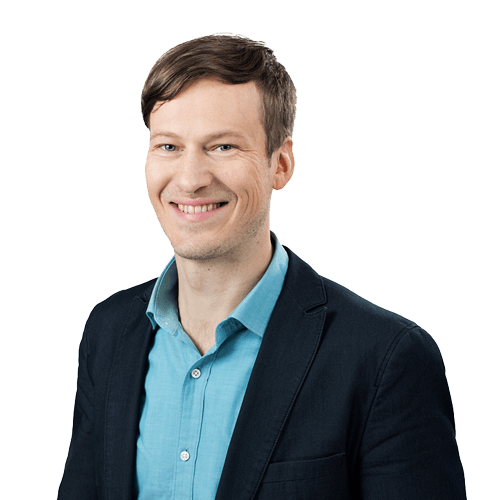 Before joining Medaffcon, Samuli has 2 years’ worth of experience in research as a research assistant at the University of Helsinki, where he contributed to unravelling the genetic and epigenetic background of psychological phenotypes (Depsy-group). Samuli is especially interested in producing influential research data based on information on real-world patients. He is also interested in applying varying statistical and machine learning methods. 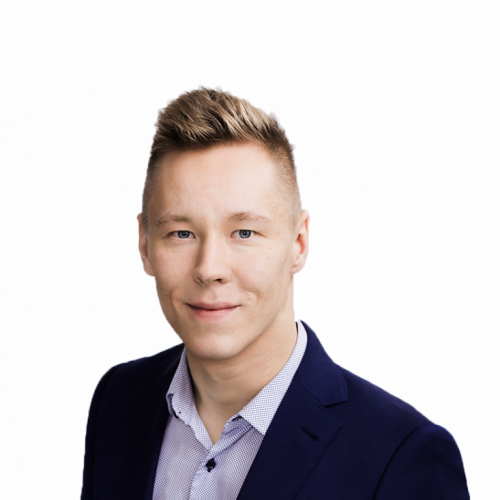 Samuli has a broad theoretical and methodological understanding as well as experience in working with big data. He is a problem solver and has an analytical take on work. Krista Maurinen joined Medaffcon in May 2017, assuming the position of a Scientific Project Manager. Krista has worked at GSK for the past three years, mainly as an Area and Key External Expert Manager with pain management as her main therapeutic area. In addition, Krista has experience in research and sales. In the field, Krista is interested in constant development, changing lines of action and new innovations. Moreover, the development of transparent and ethical cooperation between physicians and the pharmaceutical industry is of interest to Krista. Krista holds a degree education in Biomedicine and has gained extensive experience in working at the customer interface. 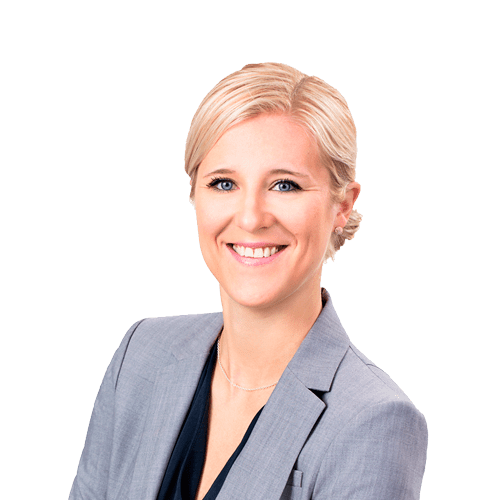 Krista’s strengths include her solid presentation and human relations skills as well as her determination: “Nothing is impossible as long as we get the right people around the same table”. Tanja joined Medaffcon’s team in November 2016. She completed her MSc in Health Economics at the University of York and graduated in 2013. Tanja did her dissertation placement at the University of Otago (Wellington, New Zealand). Previously, Tanja has also completed a Master’s degree in the field of Economics and Business Administration. Already during her previous degree, she acquainted herself with the methods of health economics, as she was writing her Master’s thesis under the supervision of a health economist at the University of Rennes (Rennes1, France) in 2010. Tanja has gained her most recent work experience as a researcher at the National Institute for Health and Welfare. 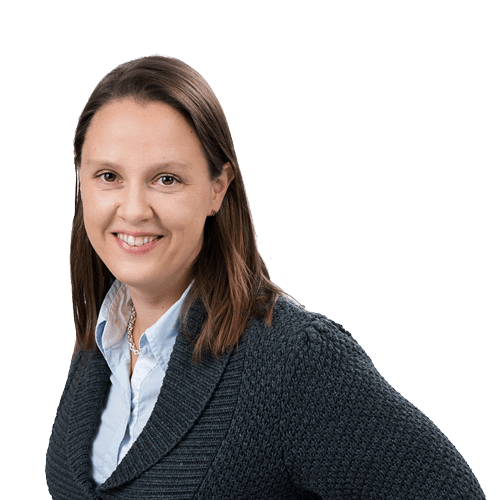 In addition, Tanja has experience in working in an international research group, in instructing course exercises in health economics as well as in working in financial administration and customer service. Tanja would particularly like to utilise her educational and professional knowledge in health economics in her future work projects. Tanja thinks that there is need for health economics and its development in Finland, now in particular, as the social and healthcare system is under reform. It is necessary to be aware of how scarce resources are allocated at the level of both the society and an organisation. Tanja has a special interest in economic evaluation and comparison of processes in healthcare. 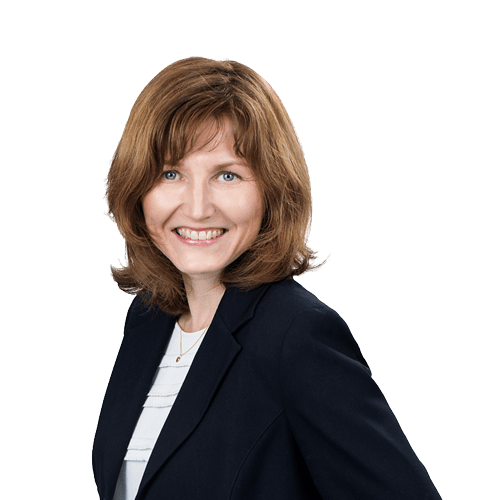 Tanja’s strengths include her educational and occupational background as well as her pursuit for constant improvement. As an employee, Tanja is customer- and goal-oriented as well as reliable. Tatu joined Medaffcon in the fall of 2016. Tatu holds a Master’s Degree in Economics and Business Administration and is currently finalizing his Health Economics studies in the University of Eastern Finland. In his Master’s Thesis Tatu analyzes the costs of outsourcing from University Hospitals perspectives. Before joining Medaffcon Tatu has worked in the pharmaceutical industry at Boehringer Ingelheim as an Account Manager with diabetes, respiratory and anticoagulation treatment portfolios. Through his work experience Tatu understands the sales and marketing practices and the day-to-day of pharmaceutical industry. Tatu’s strengths in the industry include his experience and knowledge of the sales and marketing functions combined with his understanding of the Market Access processes. Health Economics interest Tatu because of the possibilities it offers to examine health care both on micro and macro levels. The possibility to rationalize and to make health care and pharmaceutical decisions based on knowledge makes the field especially interesting. Lotta joined Medaffcon’s Market Access team in February 2017. Lotta is completing her Master’s studies in Health Economics at the University of Eastern Finland. Just before joining Medaffcon, she returned from an exchange period in Germany. Lotta has experience in the pharmaceutical industry through working at Orion, where she served as a summer employee in the department responsible for supply chain and medicine registration. Within the pharmaceutical industry, Lotta finds its diversity and international operating environment interesting. In Health Economics, her special interests cover the utilisation of health economic information in the decision-making of the pharmaceutical industry and healthcare, as well as the application of Economics with a health economic perspective. Lotta’s strengths include her interest and curiosity to learn how the theory basis gained through studies in Health Economics can be applied in practical work. Mariann joined Medaffcon’s Medical Team in June 2016. 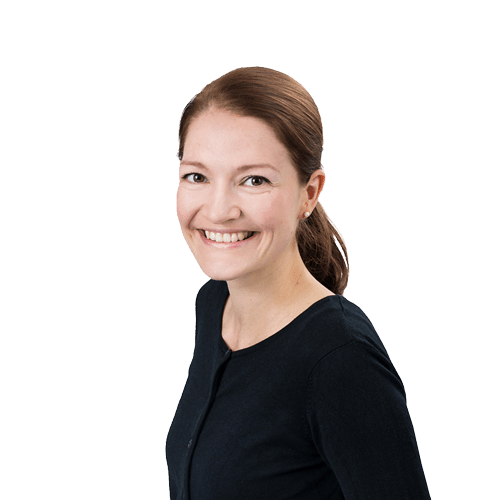 Mariann holds a PhD in Science and has experience in medical research on diabetes and long-term complications at Folkhälsan Research Center and at the Nephrology Outpatient Clinic of the University of Helsinki. Mariann has also gained experience in commercialising research innovations, after working as a part-time consultant at Biotech Start-Up Management. Mariann completed her Master of Science degree at the Department of Biosciences of the University of Helsinki in 2007. She majored in Physiology and had Biochemistry as a minor. In the field, Mariann is particularly interested in health-promoting changes enabled by digitalisation, both with regard to pharmaceutical companies and social services. Development of new medicinal products and improvement of treatment provide the work with an extremely interesting dimension. Mariann’s strengths at Medaffcon include her strong scientific expertise as well as the ability to analyse diverse health data in an appropriate manner and to work as a goal-oriented team player. Joel started working at Medaffcon in December 2015 as a Market Access Specialist. Previously, he has worked for two years in international Market Access tasks (antidepressants and antipsychotics). In addition to this, he has experience in working as a Market Access Consultant and at a pharmacy. Joel is educated as a Master of Science (Pharmacy) degree, specialised in biopharmaceutics. Moreover, he has a Master of Science (Natural Sciences) degree in applied biotechnology. In the field, Joel is interested in the pricing and reimbursement processes as well as in the related influential parties, which enable the best possible requirements for making the pharmaceutical product available to the patient. Triin joined Medaffcon’s health economic team in April 2015. Triin has a Master of Science degree in Health Care, major in Health Economics, and is a Registered Nurse. Triin has gained work experience in the pharmaceutical industry at Janssen-Cilag Oy in Health Economic and Market Access tasks, including pricing and reimbursement applications, reference price system and hospital tenders. She has also worked as a Market Access Trainee at Pfizer. Triin has experience also in the public sector, both as a registered nurse and in the public procurement tendering and acquisition processes at Kela. Triin is interested in the diversified utilisation of the information produced by health economics and moving it to the level of practice, in particular promoting the adoption of cost-effective healthcare measures. Triin’s strengths include both theoretical knowledge and practical experience in private and public sectors as well as in a hospital environment. In her work, Triin enjoys developing solutions for challenging questions. Lasse started at Medaffcon in November 2014 as a Scientific Project Manager. Lasse has worked in the pharmaceutical industry since 2001 in different positions: ca. 6 years in sales (medicinal products for prostatic cancer and erectile disorder, antimicrobial, painkiller, anti-obesity agent), ca. 3 years in development/project work (obesity treatment), 5.5 years as a Scientific Expert (urology, nephrology, anaesthesiology) and as the substitute for a liable director. Lasse has a Master of Science (Pharmacy) degree, and since 2014, he is a Doctoral Student at the University of Tampere (in a hemodynamic research group). In the field, Lasse is particularly interested in the constantly changing operational environment and different interest groups and the individualised acknowledgement of their needs, the significance of the cost benefit-effectiveness analysis of medicinal products in healthcare decision-making, as well as working with significant scientific data. 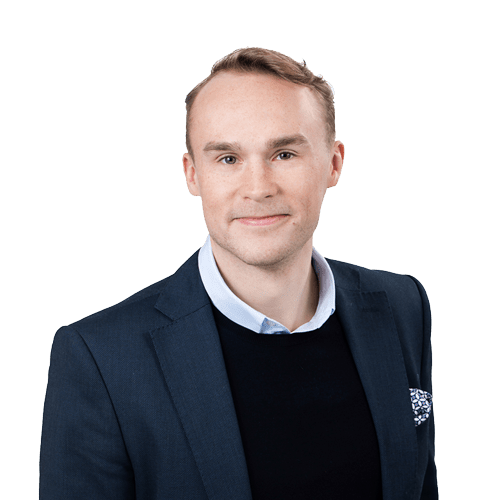 Lasse’s strengths include his wide-ranging experience in the pharmaceutical industry covering different therapeutic and operational areas and in Cross-functional team work in a matrix organisation. Kristiina joined Medaffcon as a Development Director in 2012. She has worked in the pharmaceutical industry for over 10 years; first in a CRO company and later in two large pharmaceutical companies in expert and director positions. Kristiina has been responsible for clinical research projects and participated in designing local clinical and Real World Data trials. She has also worked as a Scientific Expert in different therapeutic areas. 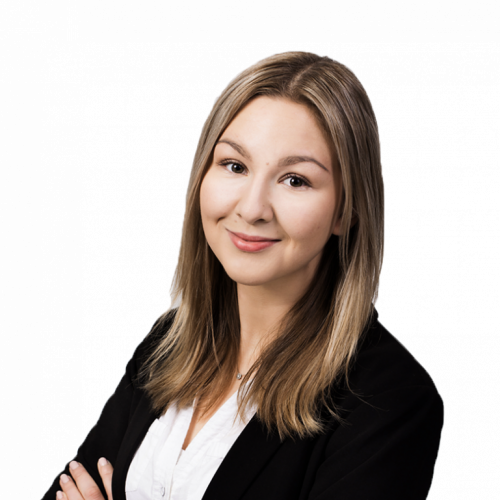 Although Kristiina has a strong scientific background, she has always been interested in creating strong cooperation between marketing and sales operations in the field. In order to strengthen her business competence, Kristiina completed a Henley MBA degree in 2012. Kristiina’s background education consists of Master of Food Sciences degree. Kristiina’s input in Medaffcon’s team is her comprehensive understanding of a drug’s development cycle as well as her strong expertise in the processes in the field, combined with business-oriented thinking. Elisa started at Medaffcon in January 2015 as a Scientific Project Manager. Previously, Elisa has worked in drug safety unit at Novo Nordisk A/S in Copenhagen as well as sales permit related tasks in the Finnish Medicines Agency Fimea. Working at the Department of Pathology of the University of Turku, Elisa has also gained several years of experience in medical research and in working in a hospital environment. Elisa has completed a Master’s degree in a programme for international drug development at the University of Copenhagen. She completed her Master’s thesis at Novo Nordisk A/S headquarters in Copenhagen. Elisa also holds a Bachelor of Science degree at the University of Turku in Biomedicine. Therefore, she has completed studies in Medicine, Natural Sciences, Pharmacy and Economics. Due to her strong theoretical background and work experience, Elisa has wide understanding of the objectives of drug development both from the industrial and authority perspectives. Elisa is particularly interested in developing new medicinal treatment and improving therapeutic value. She is also excited about working with multifunctional teams and constructing seamless cooperation between different interest groups. 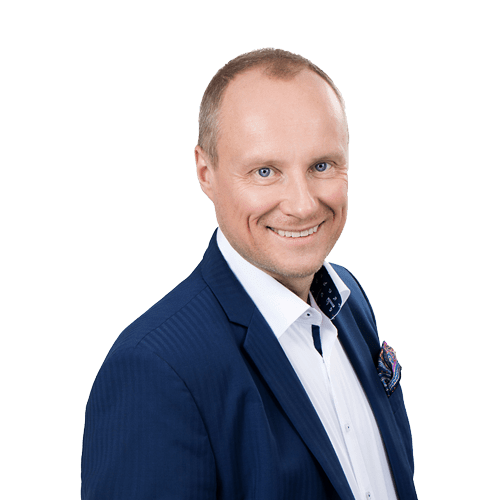 Tomi Vahevaara started working at Medaffcon in January 2017 as a Sales Director. Tomi has worked in the pharmaceutical industry for over 35 years. Therefore, he has gained wide-ranging experience in international expert and managerial positions within innovative pharmaceutical industry. The last ten years Tomi has worked as the Managing Director of Eli Lilly for Finland, Baltic States and Poland. 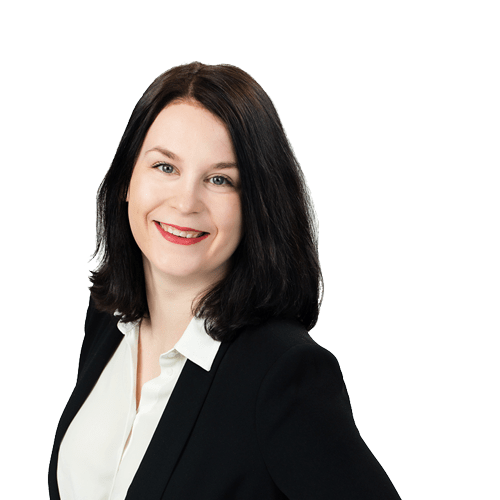 Tomi serves as the Chairman of the Board of the Finnish Mutual Insurance Company for Pharmaceutical Injury Indemnities and as a Board Member in the Finnish Co-operative for Pharmaceutical Injury Indemnities. 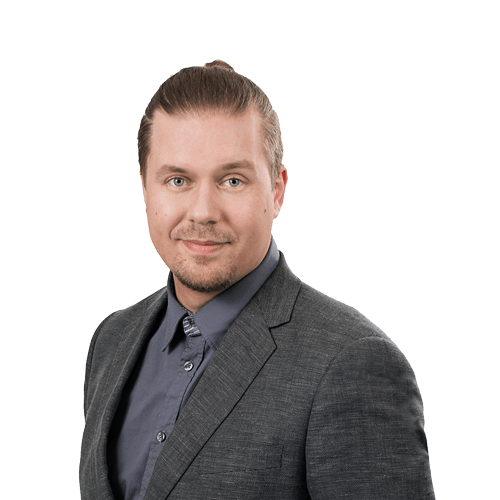 Furthermore, Tomi holds experience in working as the Head of Research Services at the Clinical Research Institute HUCH, where he supported the realization of clinical medicine trials within the Hospital District of Helsinki and Uusimaa. Tomi is particularly interested in the significant economic and investment opportunities for Finland and for the companies working in the Finnish health industry. For this purpose, he has established two networks: IPWG (Innovative Pharma Working Group) and LSG (Life Science Group /Amcham), which support the Health Sector Growth Strategy for Research and Innovation Activities of the Finnish Government. In addition, he is interested in market access possibilities and new models, which enable earlier market access and clinical use of pharmaceutical innovations. Public–private cooperation models as well as the introduction and utilization of Finnish strengths (such as registers, biobanks etc.) in healthcare business are also of interest to Tomi. Tomi has solid and wide-ranging expertise in different positions in the pharmaceutical field and is well connected in the entire health industry networks. He works in a positive yet goal-directed manner to reach the agreed target. Ulla joined Medaffcon in September 2018 as a marketing manager. She graduated from Britain in November 2015. After graduation, Ulla has worked in several startups for marketing and service design. 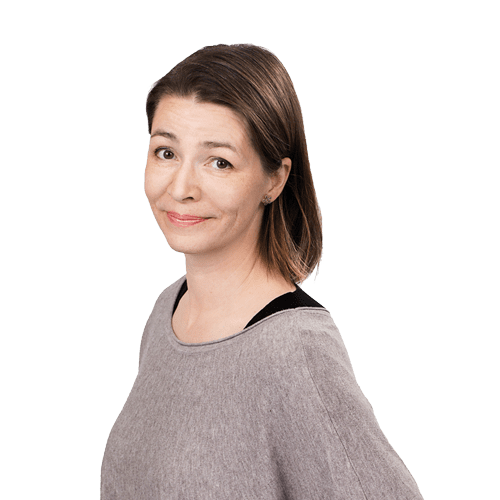 Ulla’s strengths include a broad understanding of business, marketing, and service design. In addition to marketing, Ulla is interested in Big Data and artificial intelligence, and how they can be used to improve marketing and well-being. Maria Rjazanova joined Medaffcon in August 2018 as a financial assistant. Maria is studying a Multilingual Management Assistant bachelor’s degree in Haaga-Helia, majoring in financial management. In the field, Maria is interested in individualized drug therapy, new innovations brought by digitalization and what opportunities these bring for the development of human well-being.